“I am fed up with being an attorney. I want to know what else I can do with my life!” Those are words I often hear when lawyers begin career counseling work with me. Lawyers decide to explore options outside of the law for many reasons. Some attorneys are burned out by stressful environments and a lack of control over their hours. Others have been worn down or damaged by interactions with negative or overly critical partners or others in their workplaces. Still others have chosen a profession that does not play to their strengths. Some of the people I counsel would be unhappy in any profession, often because they carry psychological baggage that weighs them down. Wanting to leave the law does not mean that you are actually going to get out. When you attempt to move into a non-legal field, you can expect to be viewed skeptically. You often need to make a pretty convincing case for yourself. Potential employers are bound to think that you may be taking a vacation from the law but that you will return to legal practice as soon as you find an opportunity that pays more. Other employers will wonder about your ability to get along with co-workers and supervisors. Some employers will question your ability to remain loyal to their workplace. Employers may reject you because of what they assume to be your monetary expectations. Still others will make assumptions about how argumentative or arrogant you are likely to be, simply because they believe lawyers have those traits. 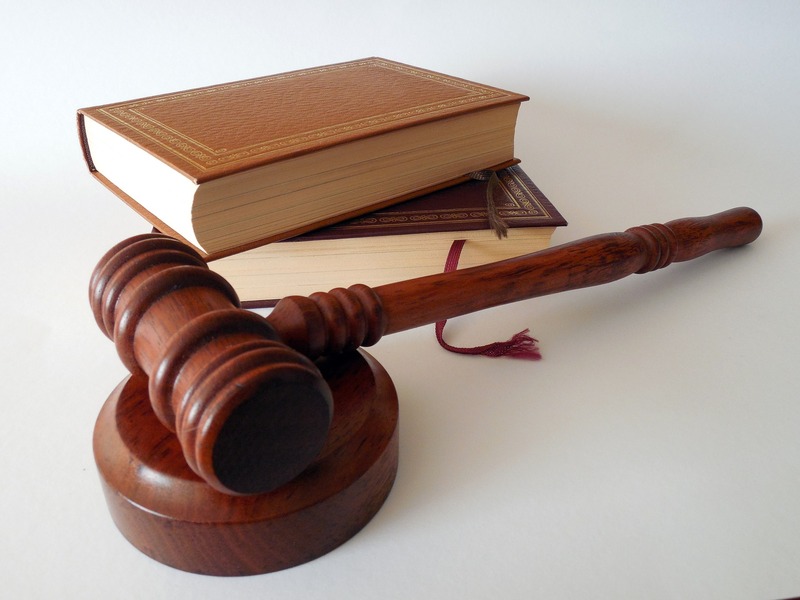 Many non-attorneys continue to have an idealized view of legal practice. These people cannot understand why you would want to leave the law. Lawyers leaving the profession usually need to do a convincing job of explaining their seemingly aberrant behavior to people who do not understand the stresses and strains of the legal work world. Despite these barriers to transition, I have successfully counseled many attorneys who decided to leave the law. Who gets out? Why are some lawyers successful when there are many who have the intention of leaving but do not accomplish that goal? There are five key factors I have learned to assess to predict a lawyer’s successful transition from the law. These factors are: 1) the carrot, 2) the stick, 3) grit, 4) economic reality, and 5) the ability to engage in rapid relationship and trust building. One of the most important factors to assess is the “carrot.” What are your needs? What draws you away from the practice of law and how deeply does it excite your interest? If you are profoundly interested in a pursuit outside of the law, especially if it is a long-standing interest or a mission you believe has importance and meaning for you, it is more likely that you will realize your goal of leaving the legal profession. There might be a strong interest or passion that has been buried under a pile of “shoulds.” “I should be a lawyer because I can make money doing that. But I wish I could develop this idea I have for an app that I know would be very popular.” “I know I ought to stay in the law because I can have a secure job, but I would love to be a broadcast journalist.” I have worked with attorneys who had these dreams and successfully transitioned their careers. In each case, the attorney had reason to believe that she would be successful before fully leaving the field of law. There have been many other attorneys who made transitions out of the law or into non-legal jobs where a JD was either preferred or at least not a barrier to transition. Some of my clients have successfully left the law to move into financial planning, compliance, strategic communications, sales for a variety of services for lawyers, professional development, career services, and many more fields. In each case we looked for the “carrots.” People who need work/life balance or a collegial team, work that ends at the end of the day, or a mission of making the world a better place can find these and other “carrots” in non-legal jobs or other settings within the legal field. The “carrots” guide them to jobs that are better matches for their personalities. Another important factor is the “stick.” The stick is whatever it is you are trying to get away from in your work world. Your stick might be a difficult partner, the stress of trial work, demanding clients, or a poisonous work environment. When the stick has to do with the way you are practicing law, it tells me that you will probably need to modify or leave your present workplace, but it does not necessarily mean that you will be happier with a divorce from legal practice. But what if you never liked the practice of law at all? What if you became an attorney to please your parents, for example? Many attorneys enter the field because they are urged to do so by well-meaning significant people in their lives. Some of these “helpful” people may have dreamed of being lawyers themselves, but could not fulfill those dreams. What if you are living out someone else’s dream? That is a stick with greater weight. If you are truly uninterested in the content of the law, modifying your workplace will not enhance your satisfaction because you still have to spend a lot of time thinking about content areas that are uninteresting to you. You are more likely to have the degree of motivation you will need to successfully leave the law. Next, there are a group of personality traits that indicate you have the motivation and tenacity to make a career transition. Tristan Jones embodies these traits. Tristan Jones was a British sailor who was crippled in World War I with a back injury and was not expected to walk again. Not only did he make a remarkable self-motivated recovery, but he went on to become a solo sailor. He sailed around the world with his one-eyed dog and wrote books about his adventures. At one point he decided to sail his boat on the lowest and highest (altitude) bodies of water on earth: the Dead Sea and Lake Titicaca. He had to figure out ways to transport his boat, get past surly customs officials, deal with dreadful weather, insects, sickness, boat repair, and a host of other seemingly insurmountable problems. In his book, The lncredible Journey, he tells the story of his travels, which he accomplished without the assistance of financial benefactors. Jones’ determination and tenacity were remarkable. But in addition to those traits, he gets high marks for initiative, creativity, flexibility, endurance, and perseverance. These are the ingredients that compose what you might call the “Tristan Jones factor,” or you could call it “grit.” How hard will you work to accomplish your goal? Fortunately, you do not have to be as determined as Tristan Jones in order to leave the law, but these traits are the ones that will help you to make a successful move. Another factor that must be assessed is your economic situation. Dan had been building a successful practice for over 15 years, but his interest in the law had plateaued. Bright, creative, and restless, Dan was fed up with “a life of bickering in court.” Before becoming an attorney, he had wanted to do free-lance writing, but his family had discouraged him from pursuing that path. When his best friend died of a heart attack at 51, Dan felt the pressure of time for himself. He burned to leave the law to become the free-lance writer he had always dreamed of becoming. The problem was that he had a wife and three college-bound children who were accustomed to an affluent lifestyle. Even if Dan were willing to make a radical change in his lifestyle and live on far less income, his family was not. We spent time exploring, evaluating, and ranking his priorities. Although his first personal priority was to become a writer, he had an even higher-ranking priority, which was to maintain and support his family. Before doing that analysis, Dan had felt angry about being pushed by others to continue to practice law. After our counseling work Dan felt that he chose to continue to work as a lawyer to support his family, at least for a period of time. Dan decided that his short term goal was to do as much free-lance writing as possible. He negotiated an “of counsel” arrangement with his firm, cut back on his work hours, and sold their second home to help finance his reduced work-schedule. His long-term goal was to leave the law. Once Dan acted on his plan, he felt relieved and his legal work life became more satisfying. Dan is less certain at this point that he wants to leave the law altogether. He has achieved a sense of balance in his life that is gratifying and permits economic stability. The last key piece to a successful career transition has to do with understanding and utilizing information about how to effectively develop opportunities and jobs. This is often called networking, but I prefer to have my clients think about this process in a different way. Instead of “networking” I teach them how to go on a quest using a medieval quest analogy, where they have a clear idea about their mission, which is to find some of the wizards and knights in this realm/ industry/ field and get creative about how to meet them. It is important to be prepared to have well-scripted, small vetting meetings with multiple people in the industry they are trying to move into. These meetings are what I term “rapid relationship and trust building.” The goal is to become known and trusted by people who are already in the industry; this is an effective way to become the “insider who gets hired.” Such an approach opens doors and develops potential jobs and other opportunities for the job-seeker. But the messaging matters. You cannot ask someone for a job first thing because that limits the amount of intelligence you will gain. The focus is on learning about the industry and learning gossip, hearing rumors, developing knowledge about what is happening on-the-ground, finding people already doing the work you would like to be doing, and learning from them. The focus is also on doing research so that you know the places where your skills could be useful and valuable, and articulating your value in these vetting meetings. Since more magic happens in person, I teach my clients how to engineer their luck by identifying people who are well positioned in the field and understanding how to connect with them in person if possible. This process includes giving back to people who help and guide them. These ideas and scripts are in my book, Job Quest: How to Become the Insider Who Gets Hired. Transition out of the law is not easy but you can do it. You just need to know what to do and have the tenacity and motivation to work your way to your second life. The world has changed, and along with it, some of the rules that used to be reliable measures for a successful career. These days, even if you start your career at a large law firm and have equity partnership as your goal, it is not a given that you will join the ranks of those shareholders. Even if you work really hard, give up your weekends and vacations, and do what is expected of you, it is not a given that you will avoid outplacement. What can you do to try to keep your career on the strongest possible trajectory? Here are three key concepts to keep in mind as you chart your career in these rocky times. Start Your Career in the Right Direction. Know What is Expected of You as a Lawyer. Watch Out for Career Traps. People do a better job when the work they do suits their personalities. It is not always possible to get a perfect match, but the closer you can get to doing work that you have both an aptitude for and an interest in, the more likely it is that you will do well on the job, have better reviews, and have greater job/career success over time. The sooner you can identify your career “sweet spot” the better, because it is hard to change your career direction once you have developed core competencies, skills, and knowledge that align you with that career direction. This is true even in terms of the practice area you are learning. Once you are in a niche, it can be difficult to extricate yourself from that specialty. Even if you are certain that you could quickly learn a new content area, that does not mean that a potential employer will want to spend the time and the money to help you retread or retool or get up to speed. For that reason, the skill set you develop within the first two to three years of practice is the one you have to peddle in the job market when you are looking for a new job. So you want your practice area to be the best match for your career sweet spot as possible, and you want to make that determination as early as possible in your career. Some people know their interests and aptitudes. They know what they like to do and they know what they do well. Other people are not as certain. For anyone who is uncertain, it makes sense to engage in self-assessment work either with or without a counselor to assist them. There are testing services such as Johnson O’Connor and others that help people to clarify these issues. There are many books that address this issue, including but not limited to: Do What Your Are by Tieger and Tieger and What Can You Do With a Law Degree? by Deborah Arron. Most career counselors should be able to help clients identify the career directions that are best suited to their aptitudes and interests. One of the very best ways to figure out the right choice for your career direction is to simply talk to people doing the work you think you want to do. Ask them penetrating questions such as: What do you like about what you do and why? What do you dislike about it and why? Tell me five things that surprised you about working in this practice area/job/career. If you had it to do over again would you pick the same job/practice area/firm, why or why not? If you pretend you are an investigative reporter and ask tough questions, that could help you to figure out whether a career direction will suit your needs. You want to figure out your career goal and, if possible, take a job that advances your goal. Of course, in a less robust market there may be fewer choices about where you begin your career. You may have to take the job you can get. Even if that is the case, if you know where you want to go eventually, it is easier to navigate your way to achieve your goal. Some large firms allow new associates opportunities to try out different practice areas and make a choice. Others do not. If you can, try to pick a firm that allows this and gives you a say about the group you join. Smaller workplaces may not have the specialization of the large firms, which can mean that every new associate is a jack-of-all-trades. That has both good and bad aspects, depending on what you want to achieve in your career. If you have to start off at a job that does not move you in the right direction, that’s okay, but work to move your career in the right direction as swiftly as possible. In short, know what your career goal is so that you can move closer to it and work to achieve it. 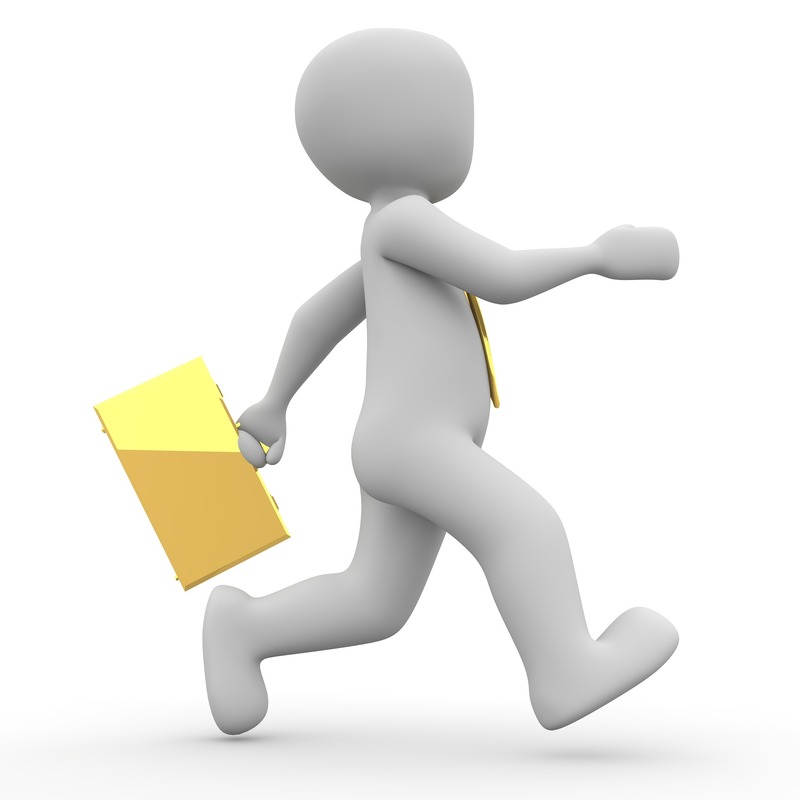 From the minute you start your career you want to hit the ground running. Many newly-minted lawyers working at law firms complain that they do not get to work with clients. But in fact, new associates do have clients. Their clients are the partners they work for. And just as all lawyers must do when they work with clients, the new associates need to create trust, do their very best work, and please their partner/clients. The job of the new associate is to be the expert on the law. In addition, associates need to set their own goals for performance development and find ways to get the experience they need to advance. Many associates do not realize that the firm will not do that for them, and are disappointed when they receive less than stellar reviews because they are missing certain skills they were supposed to have developed. This includes finding mentors on your own. Even if the firm has a mentoring program, it is a good idea to find additional supportive partners for different purposes and touch base with them when questions arise, being careful not to become a pest. Eventually, to succeed in the private practice of law, lawyers have to bring in business. In general this is not an expectation for about five to seven years, but the groundwork for business development has to be laid in the early years of practice. This groundwork is friendship and trust relationships with potential referral sources, including other lawyers both within and outside the firm who might refer business. By mid-career (about seven to ten years into the practice of law) you want to be a presence in the legal world. That means you join bar associations, and write and speak so that other lawyers know who you are and recognize your niche practice area. It is also essential that you create a spotless reputation for doing good work in an ethical way, and that you work well even with opposing counsel. What goes around comes around. Lawyers who create animosity and enemies often find out too late that their legal neighborhood is very small and that people will gossip. A high degree of professionalism goes a long way. In a lawyer’s later career, it makes a difference if he or she can play well with others. You do not want to be the partner from hell. Everyone knows who is nice and who is not nice out there in the legal work world. If you develop a reputation for being impossible to work with, that can limit your options for career growth and movement to a different workplace. All too often partners have a problem with delegation to junior partners and associates. They hold onto work or become micro-managers for fear the work will not be done properly. Because of that tendency they run into time constraints and overcharging issues. If a partner can teach and train support staff to do their jobs the right way from the beginning, delegation becomes easier. The effort to teach and train the next generation of lawyers coming through the pipeline has to be adopted as a “best practice,” despite the amount of time it takes the beginning. It saves time in the long run. As I watch careers evolve over time, I have seen a number of mistakes that hurt lawyers as they navigate their way through relatively perilous waters. What are some of those special problems? First, many lawyers are content to become service partners. They are the handmaidens of the partners with business. About ten years ago that role was not as problematic as it is today. These days a service partner may not be considered essential to the health of a firm. When pink slips go out, it is rarely the partner with business who gets served, it is the partner without business. And when he or she tries to find a new firm, the first question is: “What portable practice do you bring with you?” Loyal clients are the basis for power at a firm and mobility in the marketplace, not to mention the potential option to go in-house with a client. Second, some lawyers do not keep up with their networking activities. They become isolated. If that happens, they lose the ability to be well positioned for a job search if one is required. They also lose out on business development opportunities by being off of the radar screen. Some attorneys are shy or introverted and have trouble staying active in their legal neighborhoods, but if someone has the ability to be a good friend, he or she can be a good networker. No one has to be an extrovert to make and sustain trust relationships in a legal neighborhood. However, some people have to force themselves to participate in professional groups and keep setting up lunches with people they know and people they should get to know. The benefit is great and the cost of avoidance is too high when it comes to networking to stay relevant. A third quagmire can be proficiency in a practice area that is too backwater. There are areas of practice that are not getting the “workflow” that other areas are enjoying and will continue to enjoy. For example, if an attorney represents railroads and there are fewer and fewer clients to serve, that lawyer might need to transition into another transportation niche or other practice area to be able to develop practice. That transition should be based on already-acquired skills that can be further developed. For example, a lawyer who has a practice doing procurements for the government may be very good at closely reading and analyzing contracts, laws, or documents. That lawyer might be able to transition to compliance work by asserting that these skills and core competencies transfer well. Fourth, some lawyers, especially at large firms, have the potential to develop clients but the clients they could work with are unable to pay the hourly rates demanded by a big firm. If that is the case a careful calculation must be made: does the ability to develop practice necessitate a move to a smaller firm that would accommodate the needs of the current or potential clients? The benefit of practice development is so great these days that a move to a firm that welcomes the smaller or mid-size clients might be smart. Fifth, some lawyers are working in firms where they feel like they do not fit in, but they do not know what to do about that. Every firm has a culture and some firms are tolerant about differences. Others are not. When there is a cultural misfit, often a lawyer who is not fitting in well will feel that he or she is being passed over for the good work, or that he or she is not included in group activities. Aside from being uncomfortable, that cultural misalignment can spell trouble for a career. The person who is not getting good work is going to fall behind others who are being chosen to do more interesting or challenging assignments. Is this prejudice? Perhaps. But more often than not it may be unconscious on the part of those people in authority. They would say that they simply feel more comfortable with the favored lawyer, or they firmly believe that the favored attorney is more competent. Discovering the truth of the matter is next to impossible. However, if you are in a situation where you are not getting good work, that should be a big red flag. There might be steps you could take to remedy the situation, but if there is a basic cultural misalignment, you really might want to look for a different workplace where you could truly excel. These are only a few of the pitfalls that can create special problems for a lawyer’s career, but they are common problems that I have seen in my counseling practice fairly consistently. Identify your career sweet spot and your goals early in your career and forge a path that is calculated to get you there. Understand what is expected of you in your early, mid, and late career. Do your level best to avoid the career pitfalls that could impede your progress. Many job seekers realize that there is an advantage to being introduced to a workplace by someone inside or trusted by that workplace. It is true that when an inside person recommends you for a job, your chances of actually getting hired are much better. How much better? Employee referrals are the top source of internal hiring: almost 60% compared to about 40% for external sources for hiring. Of the internal sources for hiring, 61% are employee referred and 26% come through the company website. Those applicants coming through the company website may be alerted by an inside contact that there is a job posting. Once that applicant comes through the company website portal, an insider can often do a lot to shepherd the resume to the person in charge of hiring. But what many job seekers do not understand well is that the way you get that introduction and the way that person talks about you to people in the workplace makes a tremendous difference. Contacting someone you do not know and asking for an introduction from them does not help you. It can actually work against you. When you contact a person who is not a good friend of yours and ask them to introduce you, you are putting them on the spot. How can they say good things about you if they really do not know you? Even if you cannot get all six elements, aim for the following: the person has gotten to know you, likes you, knows someone inside the workplace, and is willing to endorse you. With these, you can often get an insider advantage. An endorsement is crucial. But the person introducing you to the workplace needs to have some basis for saying good things about you. Accosting people via LinkedIn is not the way to get that support. My friend told me that she felt offended and “used” by that request. How could she endorse someone she really does not know? How can she tell her workplace to take a close look at someone who might turn out to be a bad hire? My friend felt that this request unfairly put her on the spot. She told the job seeker she would do what she could to help, but then she did nothing because she had no idea how to vouch for someone she did not know. How could this job seeker have done it differently and earned an endorsement? The answer has to do with the way you create a good relationship and the way trust is developed. Good networking is all about relationship building, and good relationships are built in person. Not only do you want to meet in person, but you want to be likable when you meet in person. The way to do this might be to set something up with the insider such as a breakfast, lunch, dinner, or coffee. Sometimes you can start by interacting with the person in a setting like an association meeting or an event in which you have a mutual interest. There can be a certain amount of plotting or engineering to meet with someone who could be helpful, but if you are a genuine friend when you meet with them, and you ask for the other person to advise you and brainstorm with you rather than asking them for a job, the person will be far more likely to support your candidacy for a position at their workplace. True friendship is the goal, whether or not you get a job. And to that end you want to give people gifts that help them have better lives. You can give them gifts of information, like a link to an article of interest, or gifts of support, like help and connection with other people, or possibly small tangible gifts like a book or tickets to a show. These are all part of being a good friend to someone else. And they should come from an authentic interest in the other person that goes beyond you getting a job. So networkers take note. There is a right way and a wrong way to connect with people inside the workplace you are trying to approach. 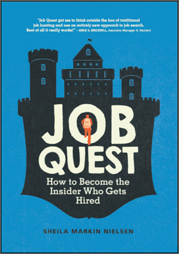 Utilize rapid relationship and trust building which I talk about in my book, Job Quest: How to Become the Insider Who Gets Hired, to improve your chances of getting those all important endorsements.